According to a recent news feature from the Wall Street Journal, the accident rate for commercial airline companies based in the United States was close to the all-time low this past year. This is based upon early data from federal crash investigators. This is in contrast to an increase in accidents involving foreign airlines, as we have seen in various international news reports. This past year was the fifth year in a row that there was a not a single fatal crash involving a U.S. operated commercial aircraft. Obviously, this data does not include the much more frequent fatal crashes involving smaller, private aircraft. The study was conducted by the National Transportation Safety Board (NTSB), which is the federal agency operated under direction from its parent agency, the United States Department of Transportation (USDOT), and the study includes not only fatal accidents, but anything classified as a domestic carrier mishap. As for the total domestic air carrier mishap rate, there was one reported accident for around every 300,000 successful departures from airports around the country. The NTSB reports that the lowest rate ever for domestic airline carriers is one incident per 400,000 successful departures, which was recorded in 2013. In addition to measuring the accident rate based upon mishaps per departure, the NTSB can also show the number of flight hours on average between any mishaps. 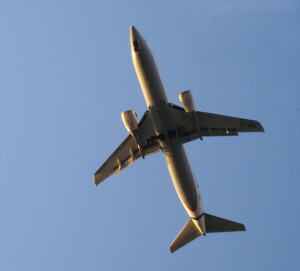 This year, the rate was one mishap per 700,000 hours of safe flight. Not only is this a very low rate of mishap, it is also less than half of what the rate was 20 years ago. This is significant, because fewer mishaps mean fewer instances of personal injury involving commercial air travel. As our Boston airline injury attorneys understand, this decrease has a lot to do with new safety technology and advances in air traffic control protocols. With respect to technology, the aircraft are designed with so many safety features and redundant features that an engine failure causing a plane to make an emergency landing is almost unheard of, and most U.S. pilots can go an entire career without experiencing a catastrophic engine failure. However, the new technology would not necessarily account for the lower number of accidents with personal injury or death on domestic carriers over foreign carriers, since both might be flying the same aircraft. One of the reasons this technology seems to function better in the United States is because of the rigid maintenance requirements instituted by the Federal Aviation Administration (FAA) and the NTSB, along with the airlines strict adherence to these standards. For various reasons, an airplane is not like a car in that it cannot sit in a hanger collecting dust until it is needed and then be ready to go at the turn of a key. In order for all of the systems on a modern aircraft to run properly, it must be given constant attention, and the systems must be checked frequently. This is especially important when we consider that, with the cost of commercial airliners, the companies do not want them sitting for any amount of time, because that means they are not earning revenue. If an airline company is negligent and takes shortcuts with safety protocols, it can result in serious personal injury or death.